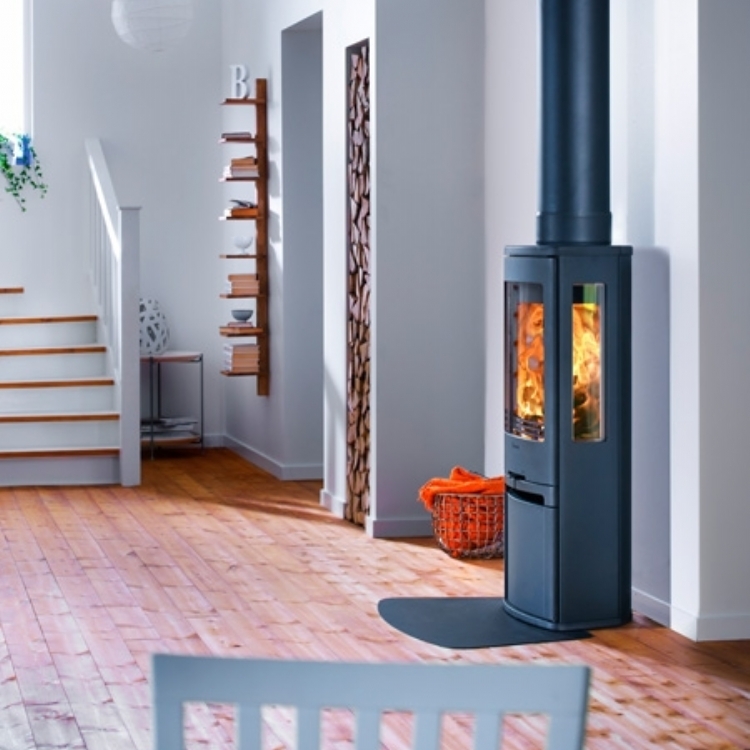 Contura 810 woodburner installed in cornwall wood burning stove installation from Kernow Fires. 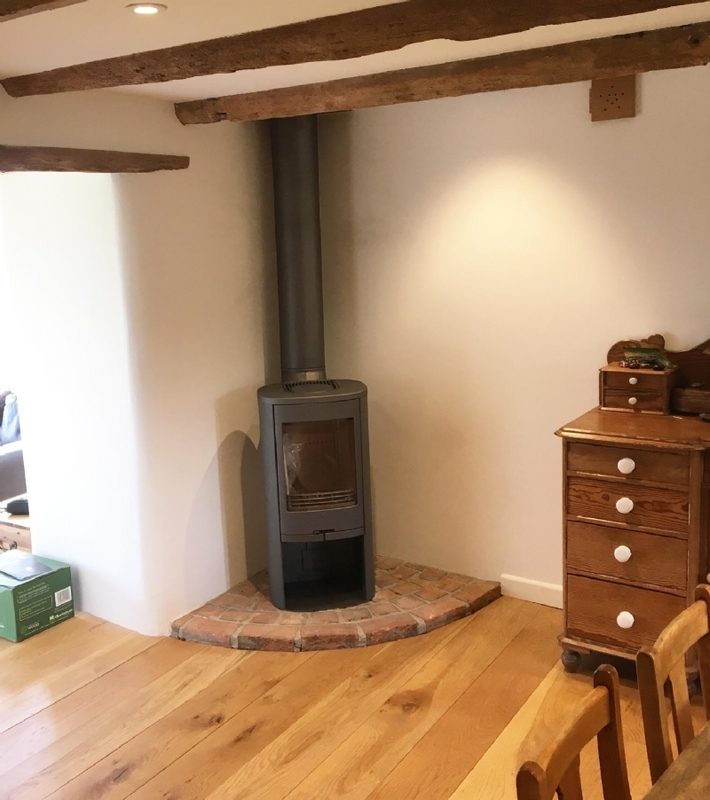 These clients had a very definite idea of what kind of stove they wanted in their room. 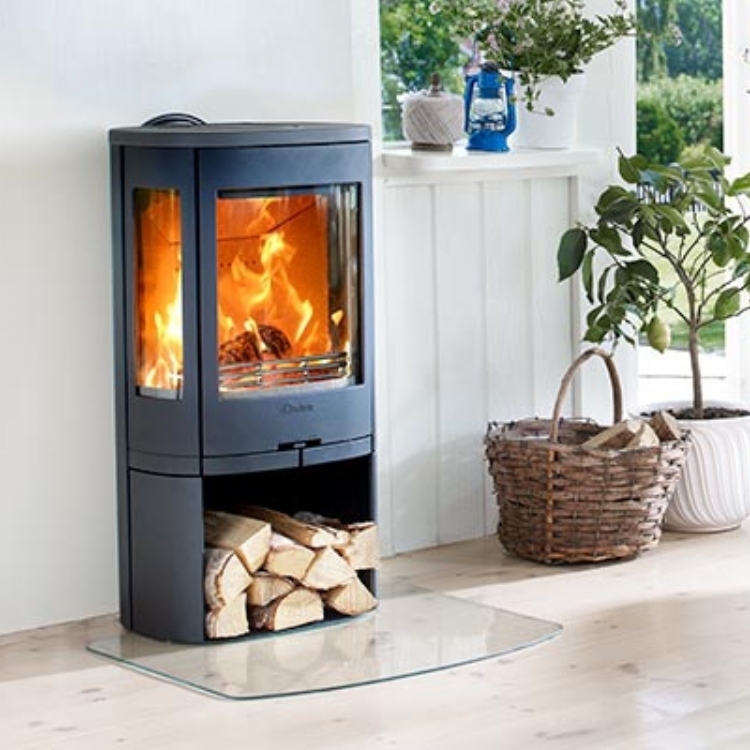 Having built a brick hearth on which it would sit they wanted a contemporary freestanding stove to sit upon it. 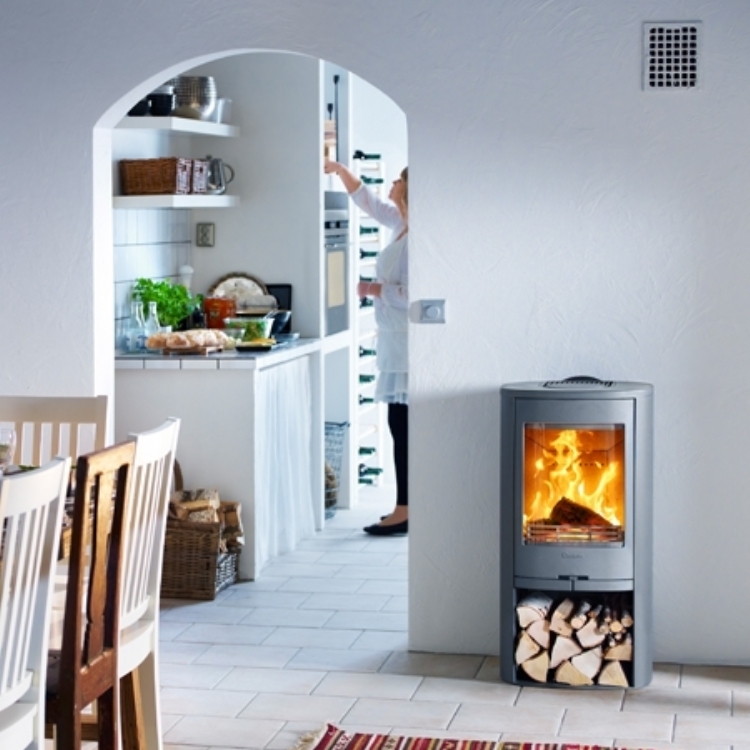 The Contura 810 is a great value stove with modern styling which works well in this setting.